When my mother sat for Reynolds, she claims he told her that she had the greatest skin of any woman he had known. How he could see it under the layers of make-up I'm not sure, but she was a regular visitor to his studio in my younger years, always prattling on about bone structure and pigmentation. To me, Reynolds remains the greatest portrait artist of the 18th century century and for that reason, I thought I would mark his birthday here at the Guide. Reynolds was hardly born into an artistic household; his father was a schoolmaster and his great-grandfather noted mathematician, Thomas Baker. Raised in a scholarly household, Reynolds completed his first portrait in 1735 at the age of twelve. Five years later he was taken into the London studio of Thomas Hudson and served as apprentice there until he struck out on his own as a portraitist in 1743. Always lamenting his lack of artistic education, Reynolds took a break from London to travel the Mediterranean with Commodore Augustus Keppel, eventually spending several months travelling around Italy and working with painters there. Here he developed an affection for the Old Masters and the grandiosity of Italian art. His skills as an artist developed into the style we now recognise as unmistakeably Reynolds and when he returned to London and established a studio at 104 St Martin's Lane, his reputation and fortune began to grow at a considerable speed. 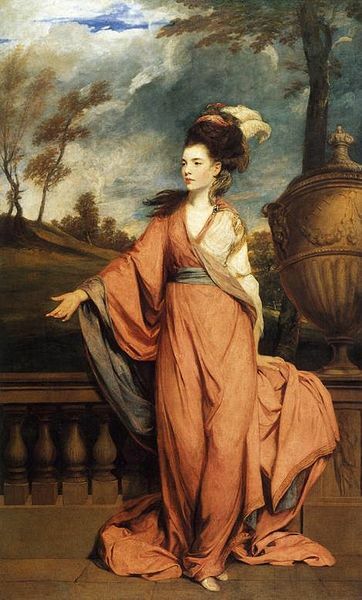 A commission for Lord Edgecumbe resulted in a number of further noble portraits and he was soon one of the most fashionable, highly-paid portrait artists in the city painting , among others, Sarah Siddons, Josiah Wedgwood, Augustus Keppel, the Clive family and Georgiana Cavendish, Duchess of Devonshire. His paintings were ambitious and grandiose, affording sitters a nobility and grace that was immensely flattering. 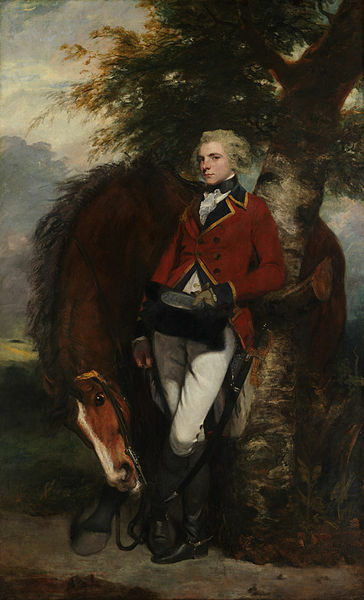 Upon its creation in 1768, the Royal Academy immediately named Reynolds as president and he would retain his position for nearly a quarter of a century, weathering in-fighting, rivalry and professional competition. Knighted in 1769, Reynolds enjoyed popularity at court that was rewarded when he succeeded Allan Ramsey as Principal Painter in Ordinary to George III in 1784. In fact, Reynolds was dismayed at the paltry salary the position provided and commented that, "King's rat catcher [...] is a better place." 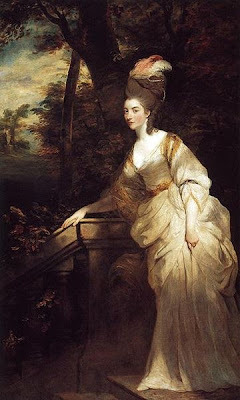 Reynolds never married though he enjoyed a long friendship with Fanny Burney and when failing eyesight forced his retirement in 1789, she remained a valued companion. 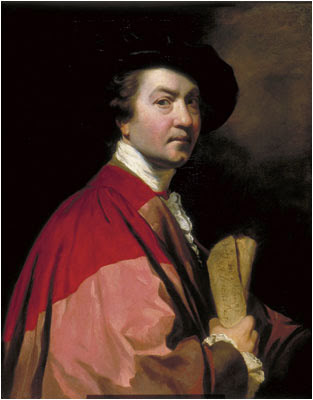 In 1792 Reynolds died at home at 47 Leicester Square, one of the most famed and respected portrait painters of his age. Joshua Reynolds lives on through his work, displayed in the grandest houses and most respected galleries across the world. His name is forever linked with the glamour and nobility of Georgian England and remains, as Edmund Burke wrote in his eulogy, "One of the most memorable men of his Time." Thomas Hudson,Sir Joshuas first mentor in London was also a Devonshire man-hence the link. Have care,Madame! Our Fanny would blush in her grave if she read your comment on her"close friendship"with Sir Joshua?? As you no doubt are aware,their close social contact was very genuine and lasted many many years. He had many close"lady friends",as he was"a charmer"-and I believe Perdita was also close to him? So I have heard, sir!